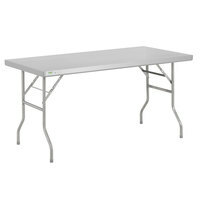 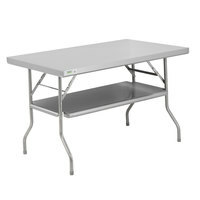 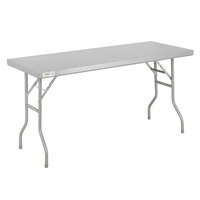 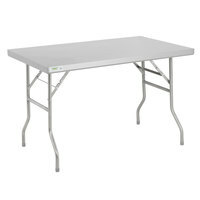 Our selection of stainless steel folding tables includes products of various sizes to use at any small or large event. 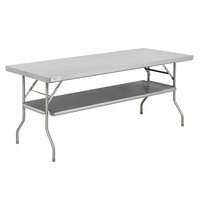 You can even find units with undershelves, which are ideal for storing small appliances, prep utensils, mixing bowls, ingredients, and other supplies. 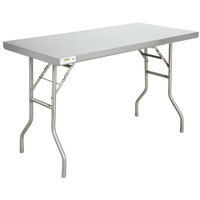 Plus, thanks to their durable stainless steel construction, they provide the perfect space for chopping, slicing, dicing, and mixing various foods. 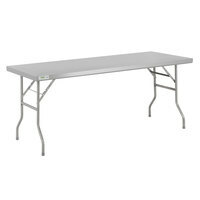 Also make sure to check out other great items from Regency Tables & Sinks and Eagle Group. 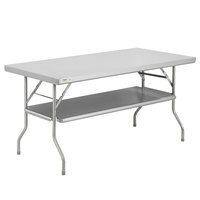 By having a stainless steel folding table for your catering needs, you’ll be able to set up for events more efficiently. 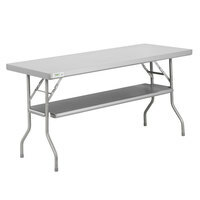 Plus, since these tables fold up, you can easily transport multiple tables to larger events. 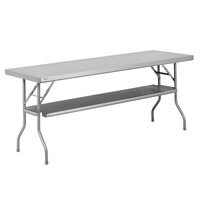 Set these tables up in the kitchen area to prepare foods, or place them in your front-of-house area and cover them with a tablecloth to create a buffet-style serving station. 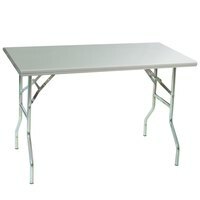 While you’re shopping for supplies for your establishment, be sure to also stock up on our mixing bowls, cutting boards, and bar towels. 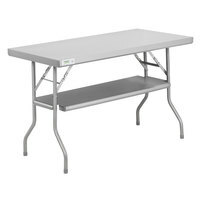 If you're wondering where to buy stainless steel folding work tables, we have a large selection of stainless steel folding work tables for sale at the lowest prices.